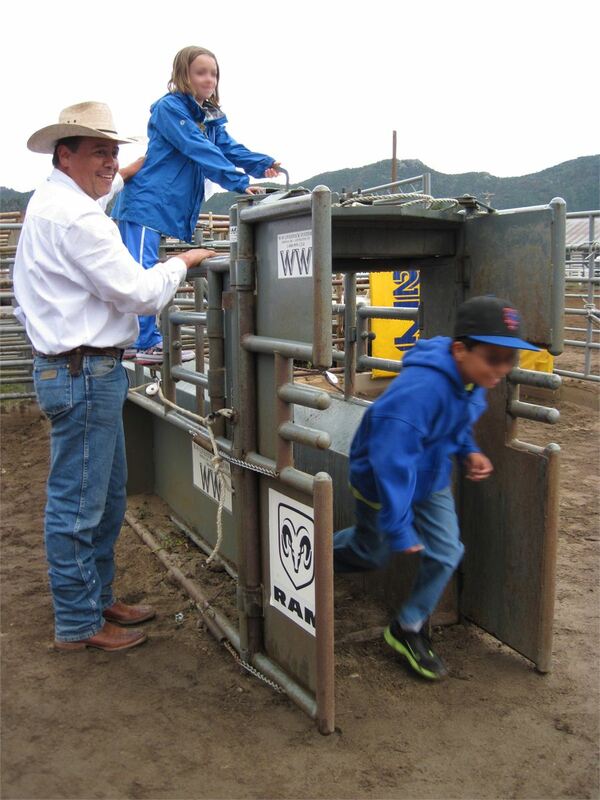 Behind the Chutes is your chance to venture out to where all the action happens. You'll meet the stock contractor, contestants and arena crew who will explain the sport of rodeo. Get an up close and personal tour of the arena equipment, participate in some mock events, see the livestock and meet the clowns. It's a great time to ask questions and to learn more about the sport of rodeo from the pros themselves. Tours are available at 5:00 p.m. Tickets for the rodeo and Behind the Chutes tours can be purchased online prior to rodeo week on the Rooftop Rodeo Tickets page. Already have your rodeo ticket? You can purchase Behind the Chutes tour tickets in advance along with your rodeo general admission tickets. If you have a party of 20 or more, we may be able to arrange a special tour for your group. Call 970.577.3920 for more information. Please note that the tour will take you through areas of thick, loose dirt (sometimes mud), so please wear appropriate shoes. Flip flops or expensive shoes are probably not a good idea! After your tour, grab that tasty chow and a cool beverage, meet old and new friends, and settle in for a great Rooftop Rodeo evening!